The premium ceramic range from Japanese company Shapton is the Glass-Stone Series. The ceramic sharpening particles are highly pure and homogeneous. This is noticeable when changing to finer grits: The traces from the previous grit are quickly ground out. A special bond allows quick sharpening whilst maintaining a flat surface. 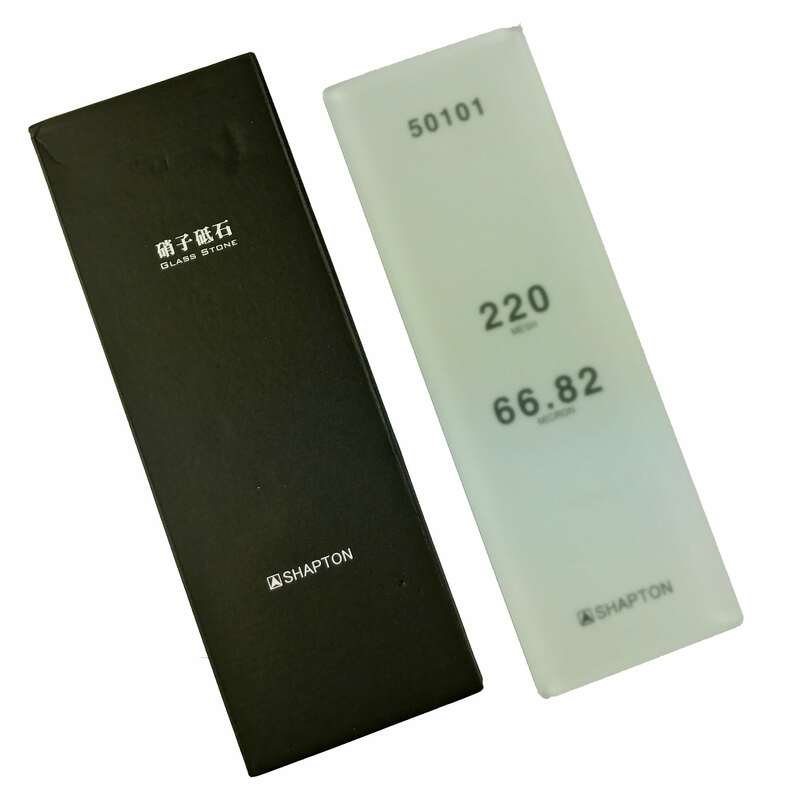 The sharpening stone has a base of tempered glass and is thus 100% warp-free. 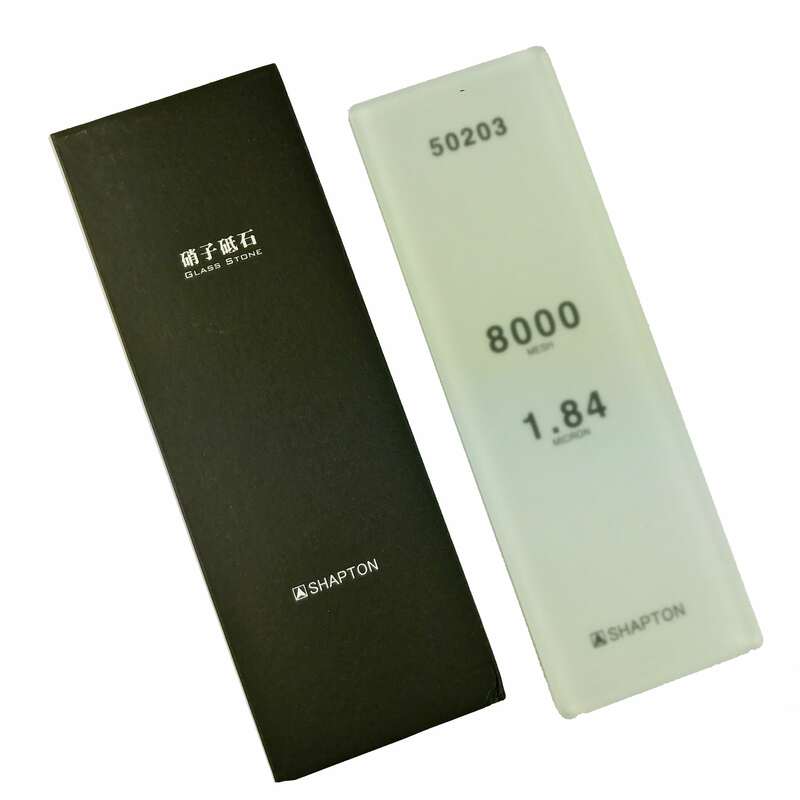 Conventional sharpening stones may warp microscopically by absorbing water, but Shapton stones solve this problem with their extremely flat base of tempered glass. Another advantage of the glass base is that the grit rating on the underside is always visible even after much use. They stay flatter longer and cut quicker. Perfect for PMA11V, A2, 01 tool steels and high carbon steel blades. Before use, spray the stones with water, or dampen with a clean wet cloth. You should not soak, or store them, in water. They sharpen plane blades, chisels and all knives beautifully. The stone is approx 5mm thick with a 5mm bonded glass back, dimensions are 120mm x 70mm. Many claim these are the best sharpening whetstones.